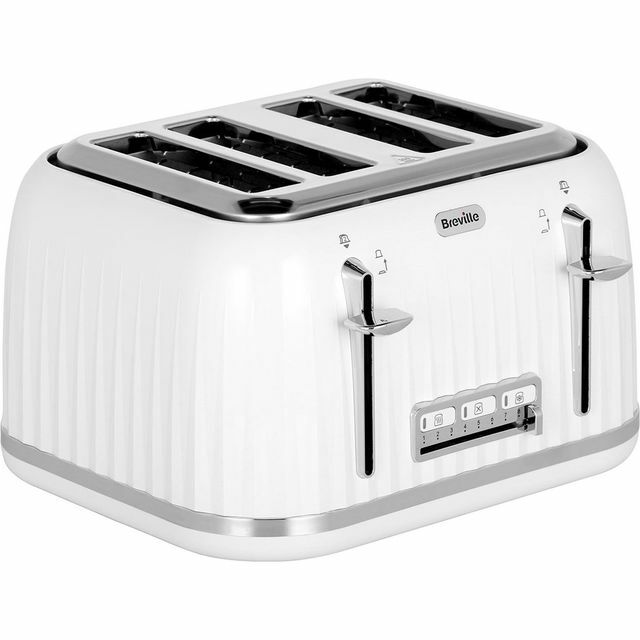 Make a lasting impression in your kitchen with this eye-catching cream 4 slice toaster from Breville. It has a handy high lift function, so smaller items like crumpets are really easy to take out. The useful defrost setting is ideal if you need to toast bread from frozen as well. There’s also a reheat option which is great for warming that toast you’ve forgotten in the morning rush, without browning it any more. This model also has illuminated controls which not only look superb, but make it simple to use too. I am very pleased with this product and have also bought the matching kettle. 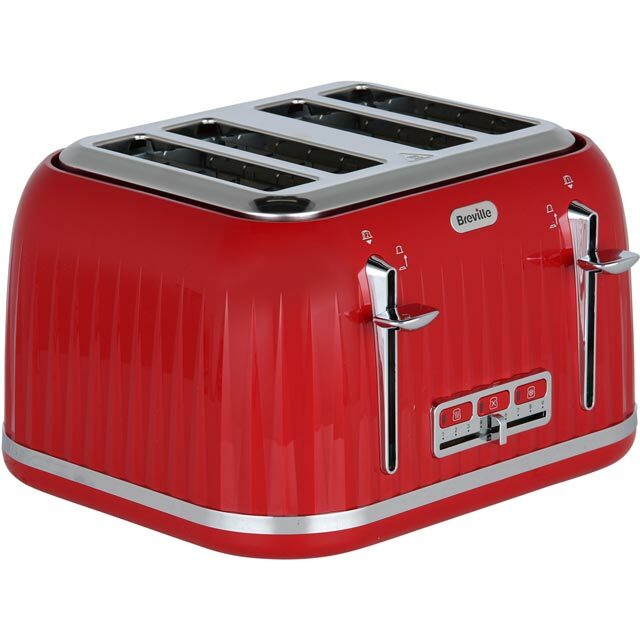 The style is a little retro but still modern enough to fit in with my modern kitchen. The rich cream colour makes the product look more expensive and is a nice change from white. 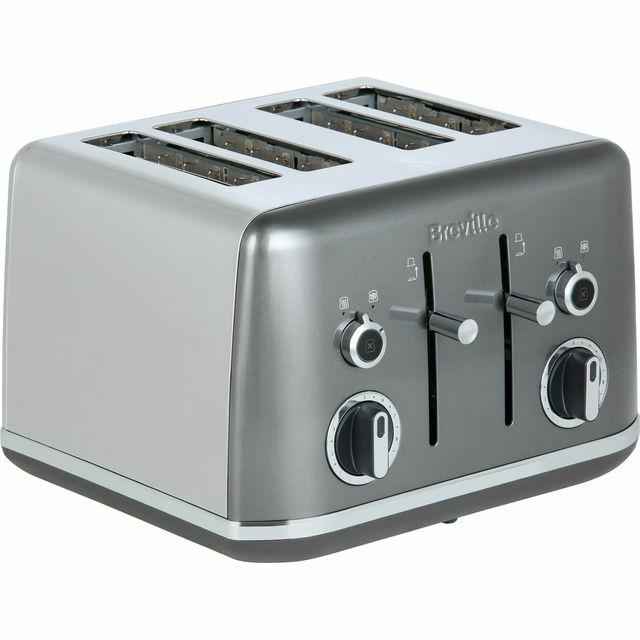 The controls are clear, easy to use and it toasts evenly and consistently. Quick delivery. . Brilliant toaster. Would recommend. AO. Com. Bought this with matching kettle. 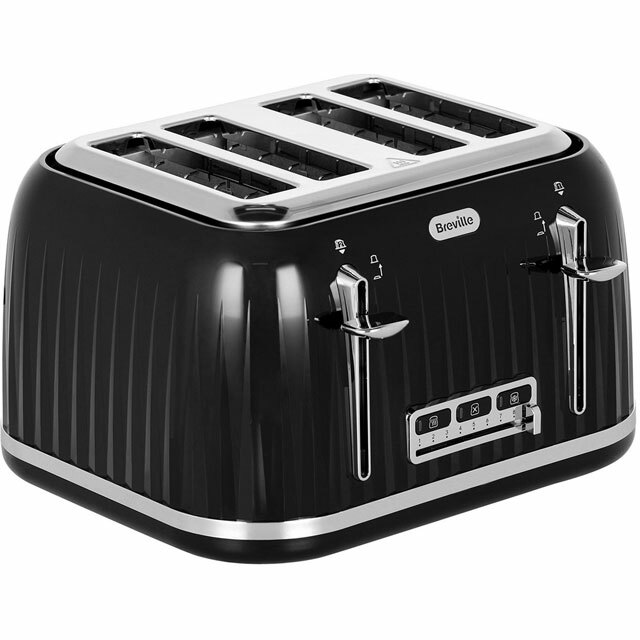 The toaster can not toast a full slice of bread. The top 1/4 slice remains poking out of the toaster when the lever is pulled down. 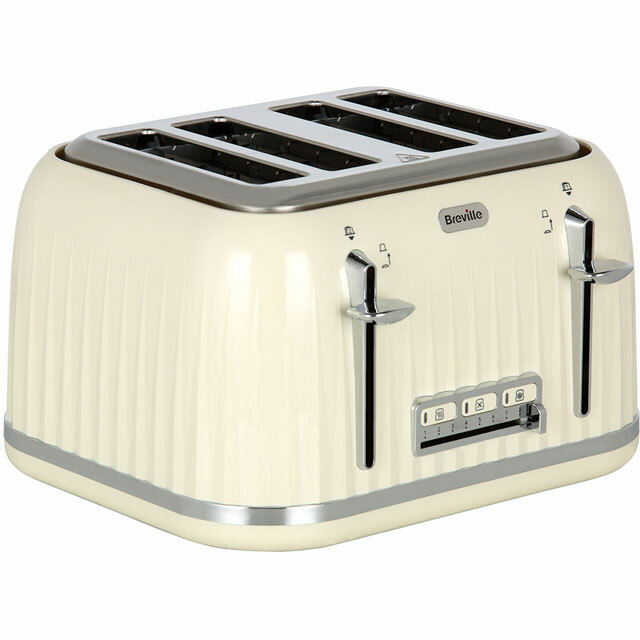 If you buy normal sized bread, don’t buy this toaster or you will be disappointed.